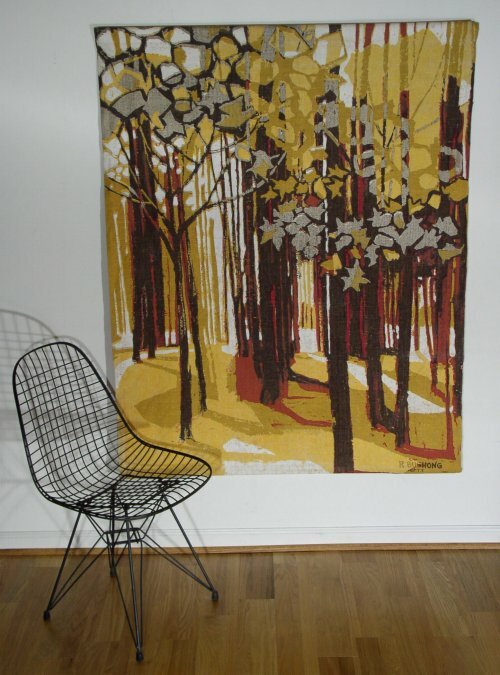 Robert Bushong for Tom Tru corporation (Lambertville, NJ) large hand painted wall hanging depicting Autumnal wooded scene on hand woven Belgian linen. Sewn in wooden bar tapestry mounts at both ends. These textiles were nationally distributed by Raymor. Dimensions: 44.5-ins wide by 57-ins high.